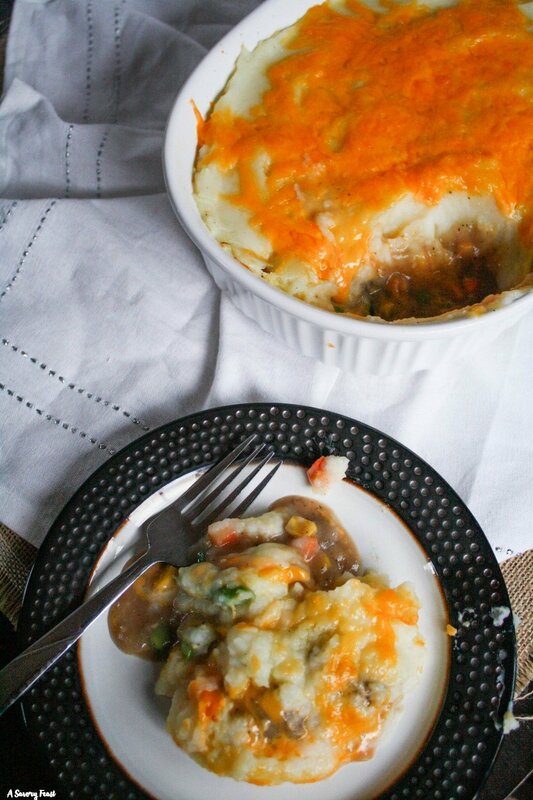 Try this delicious take on shepherd’s pie for dinner tonight! Cheesy Steak Shepherd’s Pie is made with steak instead of ground beef and packed with cheese. This recipe also uses beef bone broth for added nutrition. 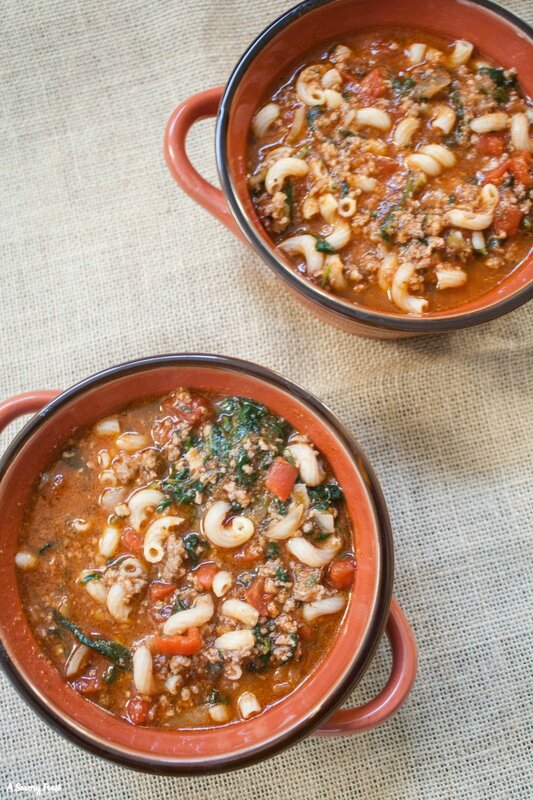 This quick Beef, Tomato and Macaroni Soup is a delicious way to warm up this winter! Hidden veggies make it a healthy meal the whole family will love. This post is sponsored by Sprouts. Thank you for supporting the brands that support A Savory Feast! Cookout season is here! Fire up the grill and try these Goat Cheese and Herb Burgers with Homemade Focaccia Buns. 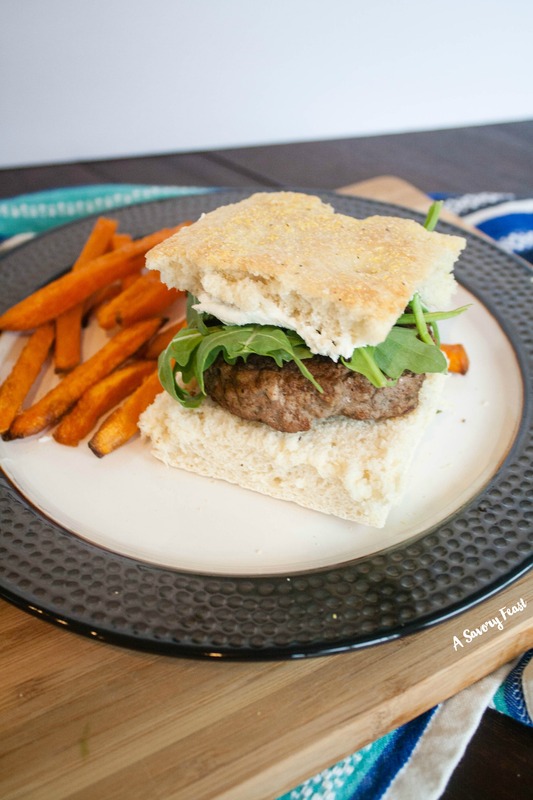 A flavorful burger topped with herb-infused goat cheese and arugula, served on a homemade focaccia bun.